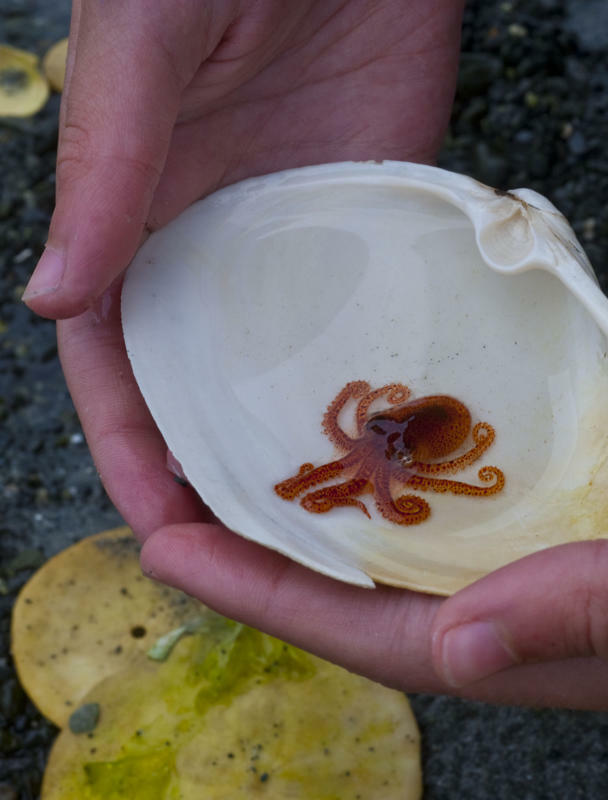 Finding "Baby Octopus" is our absolute favourite summer memory. Who ever sees them this small? My older daughter found it in a tidepool on a beach on Denman Island. When I was her age (11) we would sometimes see them off the James Bay breakwater in Victoria, but they were full grown giants by then, sculling about. We let this little guy go into his tidepool shortly after the picture was taken, and when a tiny crab tried to pinch a tentacle, he shot away under a rock, feisty as a firecracker!